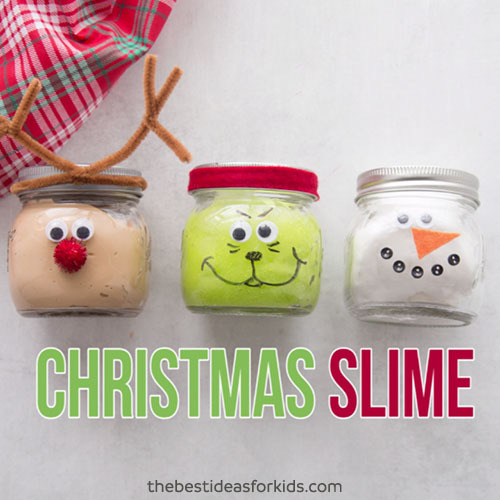 Christmas is a great time to spend some time indoors making slime. 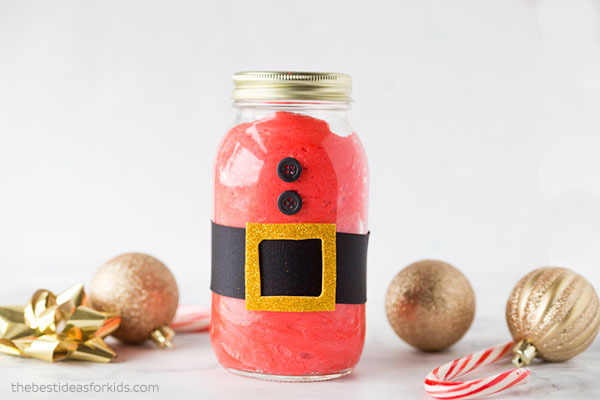 Make some to give as gifts like these Christmas Slime Jars, or just have fun at home with this easy sensory play idea! 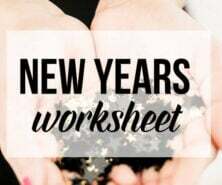 This Glitter Glue Slime for Christmas couldn’t be easier and you can also add in extra Christmas sequins to make it a perfect sensory activity too! If you want more holiday-inspired slime ideas see our Christmas Slime Jars, Candy Cane Slime , Christmas Tree Slime and Fluffy Santa Slime too! 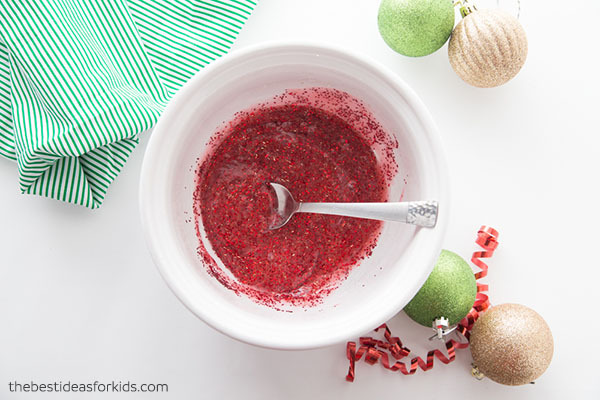 Glitter Glue Slime for Christmas- a Christmas Sensory Activity! 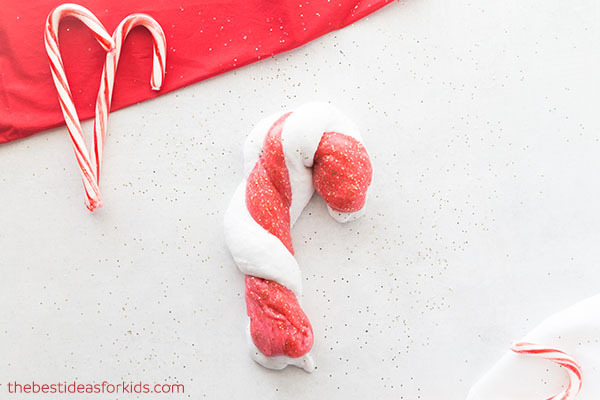 Kids will love stretching this Christmas Slime made with glitter glue. We love to make slime with glitter glue as it doesn’t stain your hands like other recipes that use food coloring. If you don’t want to make all three colors you could just make the green and turn it into Christmas Tree Slime. See our tutorial here on how to make it more like a Christmas Tree. 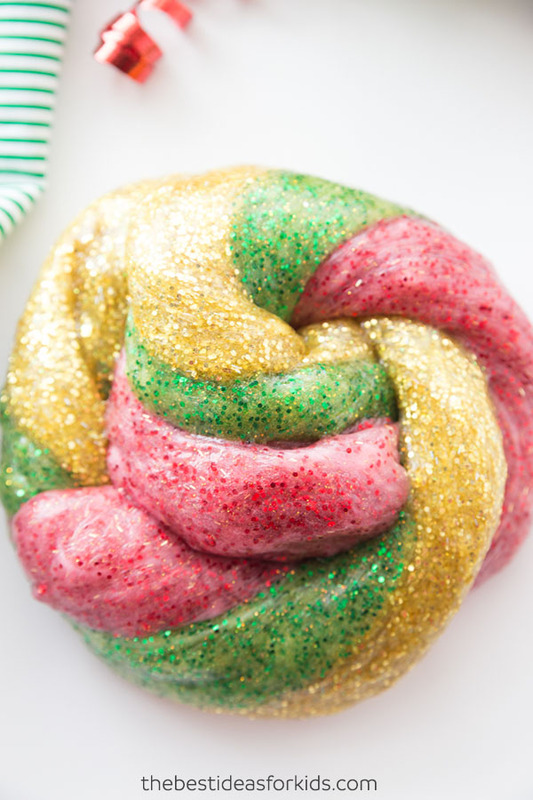 We love the colors of this Glitter Glue Slime for Christmas! Use any Christmas colors you like – red, green, gold or silver work perfectly! Or just do red & green. Note that once you continue to mix the slime colors together they will mix up like playdough. You can keep the colors separately if you do not want to mix them up. Just make sure to store in their own air-tight containers. 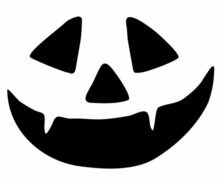 – 1 Bottle of Elmer’s Glitter Glue (6 oz). We used red, green and yellow. Note: We have only tested this with Elmer’s glitter glue and recommend this brand as other brands may not work. 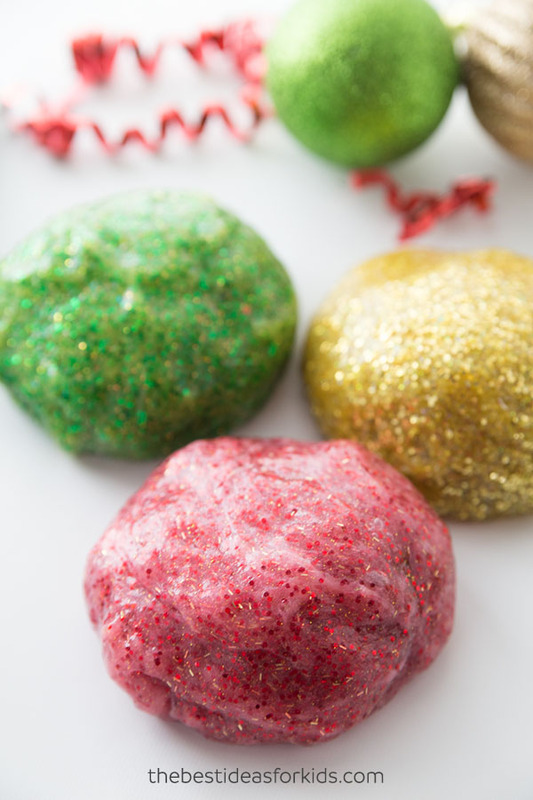 To turn our slime recipe into a Glittery Christmas Slime, add in extra glitter to each color. This is optional of course when working with glitter glue, but to get a really glittery slime we love to add in extra glitter! 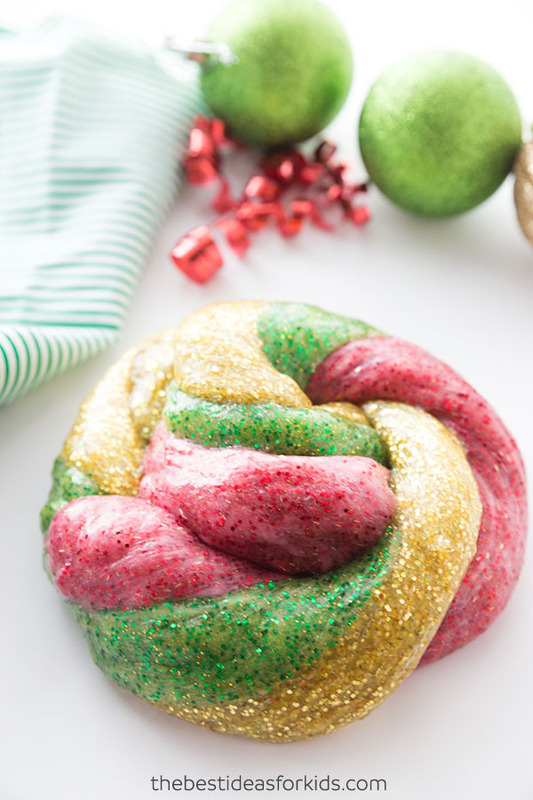 This Christmas Slime would make the perfect classroom gift or you could make it during a holiday party! 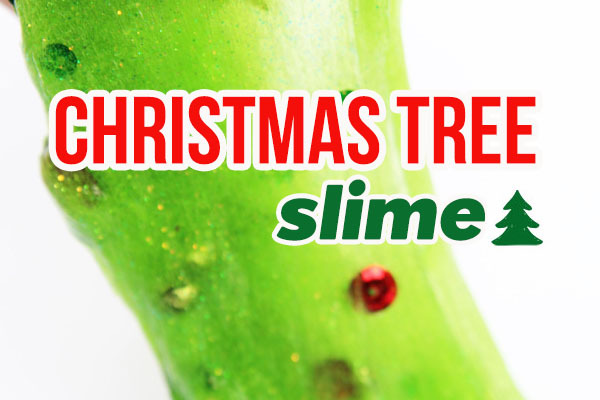 If you love the green glitter glue slime in this recipe, then be sure to also see this Christmas Tree Slime! This candy cane slime smells like candy canes! 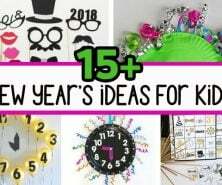 This is great for sensory play! This Fluffy Christmas slime inside a Santa Jar is another great slime gift idea!